Size of product: 30" (L) x 17" (W) x 7" (H). Art stone gallery is one of the pioneers in stone sculptures, abstracts & semi-precious slabs-washbasins business in Southern Rajasthan belt of India at Udaipur City. Having all the infrastructural facilities under one shed only. 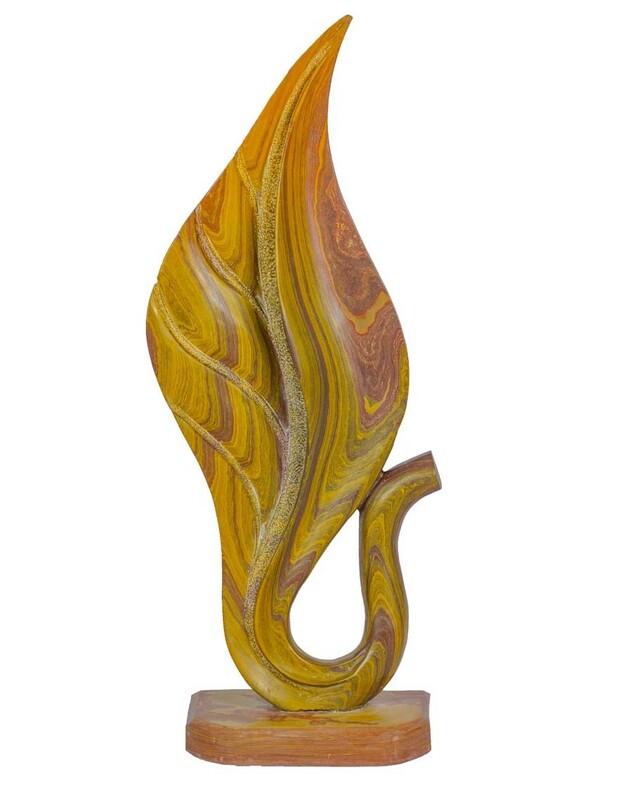 Art stone gallery have participated in many trade exhibitions to increase the market reach. Apart from catering to customers from every part of India, the product is also exported to major world markets of far and near east. Art stone gallery has moved from strength to strength, always focusing on its goal to achieve excellence by integrating the three Ps of industrial success Productivity, Product quality, Production punctuality, interwoven into its work culture.Art stone gallery is one of the pioneers in stone sculptures, abstracts & semi-precious slabs-washbasins business in Southern Rajasthan belt of India at Udaipur City. Having all the infrastructural facilities under one shed only. Art stone gallery have participated in many trade exhibitions to increase the market reach. Apart from catering to customers from every part of India, the product is also exported to major world markets of far and near east. Art stone gallery has moved from strength to strength, always focusing on its goal to achieve excellence by integrating the three Ps of industrial success Productivity, Product quality, Production punctuality, interwoven into its work culture. Art stone gallery is one of the pioneers in stone sculptures, abstracts and semi-precious slabs-wash basins business in Southern Rajasthan belt of India at Udaipur City. Craving out of marble started in India during the Mughal period. The rulers inspired by one of the gifts they received started replicating the same. This contemporary art piece is a unique art work that depicts two people who are embracing is a must have for people who love collecting art. This piece is also handcrafted and it can be gifted to friends as well.